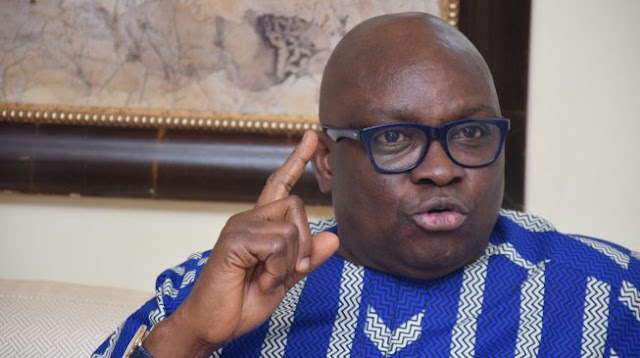 The People’s Democratic Party in Ekiti State has accused the Economic and Financial Crimes Commission of invading the Afao Ekiti residence of a former governor of the state, Ayodele Fayose. PDP State Publicity Secretary, Jackson Adebayo, said in a statement on Friday evening that “armed operatives of the EFCC stormed Fayose’s residence a few minutes ago to conduct a search, claiming that he was in the custody of fund meant for the PDP in the Southwest, since he is the Coordinator of the Atiku/Obi Presidential Campaign Council in the zone”. The party stated that no amount of intimidation would prevent Nigerians from voting in Saturday’s elections. The PDP praised youths in Afao Ekiti “for trouping out en masse in solidarity with the former governor”, adding that the peaceful conduct of youths was commendable. The PDP, however, called on all well-meaning Nigerians as well as the international community “to prevail on the APC to stop using instruments of government to harass, intimidate and oppress Nigerians perceived as not being on the same page with its clueless government”.